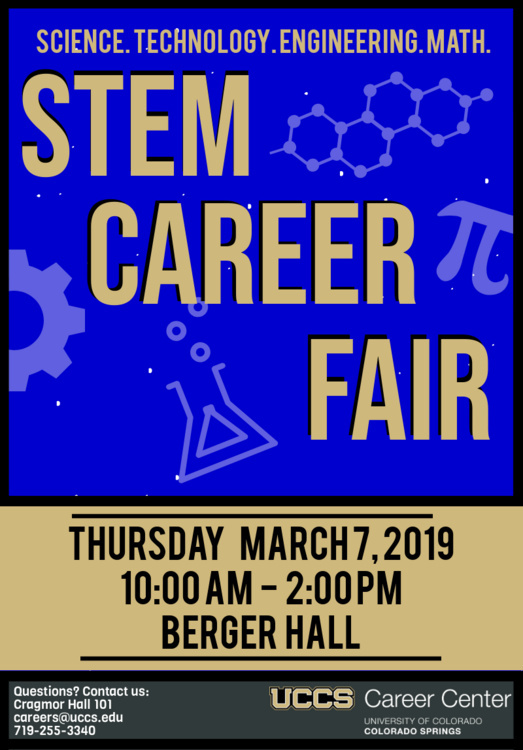 Come meet employers looking to hire students in the area of Science, Technology, Engineering and Math! Don't forget to bring your resume and dress your career best! Students, if you need help with your resume prior to the Career Fair, please call the Career Center at 719-255-3340 or visit us in Starfish to schedule an appointment. I was studying about MBBS in philippines at http://mbbsadmissionabroad.in/mbbs-in-philippines/ and came through this event, Great effort guys heard a lot about you.